Tauranga Bay Beach, with Cape Foulwind Walkway below. Wall Island and reefs at right. 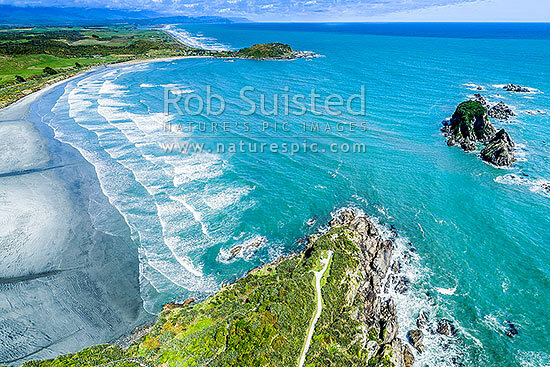 Aerial view looking south, Cape Foulwind, Buller District, West Coast Region, New Zealand (NZ), stock photo.